SQA Advanced Certificates provide skills and knowledge that meet the needs of employers. The SQA Advanced Certificate in Golf Course Management (SCQF level 7) develops knowledge and skills in areas such as the history and development of golf, management of turf areas on golf courses, the design and construction of golf course features as well turf grass ecology, managing machinery, and sports turf drainage systems. The course provides the many and varied competences required for employment in the greenkeeping and wider golf sector. Learners’ technical knowledge of modern greenkeeping practice will be complemented by the knowledge, skills and understanding they will need for the effective administration of human, physical, biological and financial resources in the golf course environment. This qualification is available through a growing number of colleges and universities around the world. Typically, an SQA Advanced Certificate takes one year to complete. SQA Advanced Certificates have been developed by SQA in partnership with colleges, universities and industry — so employers recognise that they provide sound evidence of ability. This SQA Advanced Certificate provides progression routes to further study (see Progression). 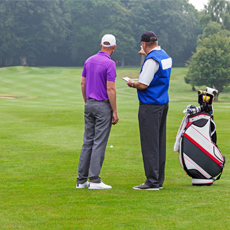 Learners who achieve an SQA Advanced Certificate in Golf Course Management can progress to the SQA Advanced Diploma in Golf Management, then possibly to a related degree level course. For further information please refer to SQA’s progression partners.